Published by Renew Economy. View original article. We spend a lot of time [at Renew Economy] chronicling the dramatic price falls of solar PV, and the new technologies emerging in solar thermal, but it is sometimes forgotten that wind energy is also making important advances. 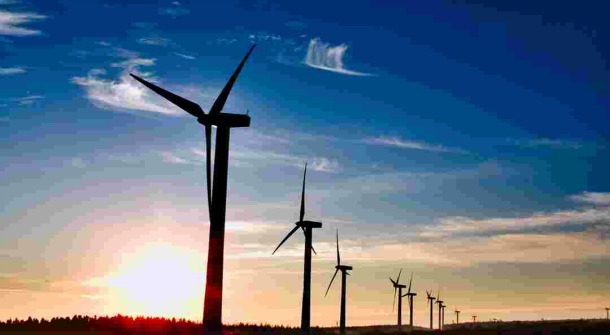 The recent report by Citigroup on the rapidly changing dynamics of global energy markets – Energy Darwinism the evolution of the energy industry” – had some important conclusions to make about wind. The first is that the cost of wind energy (levellised cost of energy of LCOE) is not just cheaper than new build fossil fuel generation in many markets, it is also competing with the existing wholesale electricity price in a number of large markets. This includes China, the UK, Italy and Spain. And in Brazil, wind energy has surpassed parity and is by the far the cheapest in the country’s capacity auctions – so much so that a separate category had to be created for fossil fuels. And for all the noise and the publicity that has been made about the claimed arrival of “cheap gas”, wind energy is clearly cheaper than gas in most major markets. Even at a relatively low capacity factor of 21 per cent – which is what they get in Germany – wind power is currently competitive with gas-fired power (combined cycle not peak-load) for natural gas prices under $10/MMBtu. Germany pays at least that because it imports gas from Russia at high prices. At a capacity factor of 24 per cent – achievable in some regions of Southern Europe – wind power is currently cheaper than gas-fired power at gas price of under ~$9/MMBtu. At a capacity factor of 30 per cent – which is what is achieved in the UK, U.S. and Australia – wind power is cheaper than gas-fired power for natural gas prices of under $7/MMBtu. And Citigroup expects wind energy to get cheaper. Because it is a relatively mature technology, and turbines have heaps of different components, it is not achieving the same “learning rates” of solar – but it is still reducing costs by around 7.4 per cent for every doubling of capacity (Solar does more than 20 per cent and in recent years 40 per cent). That means that the combinations of cost reductions and increases in efficiency suggests that by 2020, wind energy should be increasingly competitive with gas prices – at a natural gas price of roughly ~$1/MMBtu less than today. That means that in the US and Australia, for example, wind power will be competitive with gas-fired power for a natural gas price of under $6/MMBtu. In Australia, gas prices could be 50 per cent higher than that by 2020, and even in the US gas prices could rise above that level. Citi notes that at the best sites in the US, wind is already cheaper than gas at $6/MMBtu. And that would be true of the best Australian sites too. Not only that, wind is also competing with, and displacing, higher cost coal generation. As we reported earlier, on new build capacity, wind is competing with coal fired generation in a number of countries. (See graph at the bottom). And while wind has variable output, but Citi notes that with more widespread national adoption, wind energy begins to exhibit more baseload characteristics (i.e. it runs more continuously on an aggregated basis). That is making it an attractive alternative: “Hence it becomes a viable option, without the risk of low utilisation rates in developed markets, commodity price risk or associated cost of carbon risks,” Citi writes. Link not working for me. Sandra Hawkins.